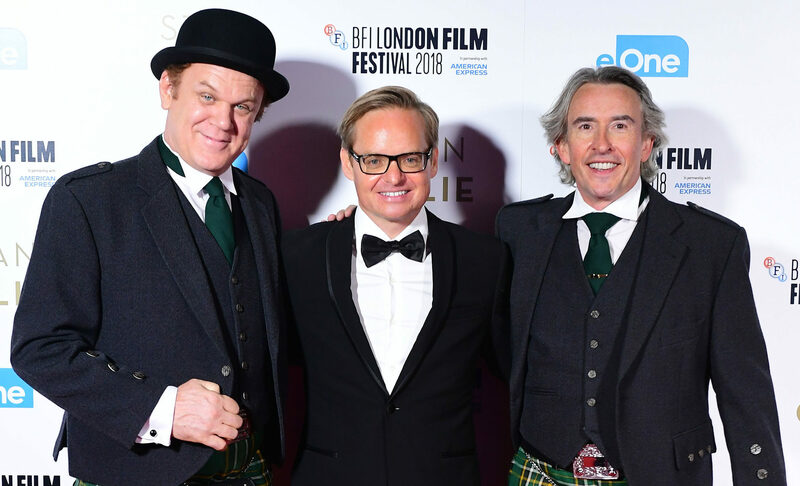 Stan & Ollie – directed by Jon S Baird – is on the shortlist for Outstanding British Film at the star-studded ceremony at the Albert Hall in London. But Jon said that, win or lose, he will be keeping his feet planted firmly on the ground. Jon, 46, who attended a pre-Bafta nominee dinner at Kensington Palace last night, said: “This is a big deal for a boy like me from a typical northeast of Scotland background. The movie faces stiff competition from multi-nominated period drama The Favourite, starring Olivia Colman, and box office hit Bohemian Rhapsody at the awards hosted by Joanna Lumley. Stan & Ollie charts the word-famous duo’s final tour of the UK and Ireland in 1953, including a performance at Glasgow’s Empire Theatre where they wore kilts for one sketch. Stan Laurel was born in England but as a boy he moved to Glasgow, where his father ran music halls and he cut his teeth in comedy. Funnyman Coogan is also nominated in the Best Leading Actor category for his role in the movie, hailed by critics as a moving depiction of the legendary comedy duo and their enduring relationship. He will be up against Bradley Cooper for A Star is Born and Rami Malek who plays Freddie Mercury in Queen biopic Bohemian Rhapsody. Meanwhile, Malek celebrated his bid to land the Best Leading Actor going by sharing a photo of himself with Beatles legend Paul McCartney. He met the former Beatle after his concert in London in December.